If you are the least bit familiar with Shades of Green, you know we have a passion for native Texas plants! 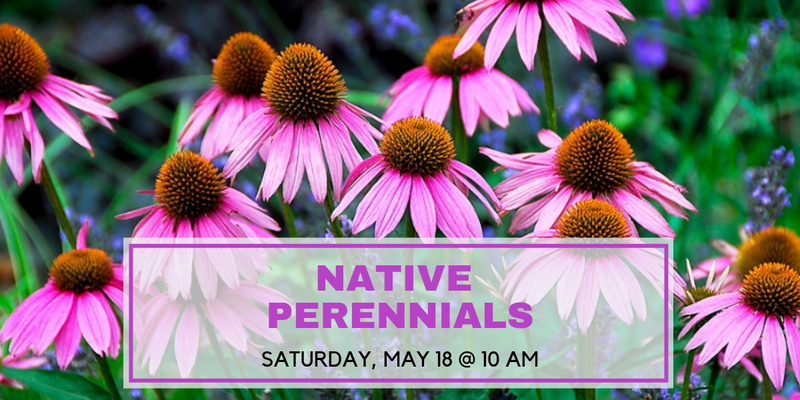 At this FREE clinic, we’ll discuss several of our favorites that you really should consider for your garden or landscape. We originally held this class on Saturday, April 13, which was a very wet, windy, rainy day. Even so, we still had over 30 brave souls show up! If were there then, this will be a repeat of that material. If you missed it because of the weather, consider this a second chance. The clinic – held rain or shine – is free and begins at 10 am under the twin pecan trees. (We will move indoors during poor weather.) You’ll receive 30-45 minutes of quality instruction from one of our professional staff followed by an opportunity to ask questions. NOTE: Native Texas plants are something we specialize in here at Shades of Green. We have a plant farm in Collinsville, Texas where we personally grow native perennials. Click here to learn more.